Imam Abu Hanifah (80 – 150 H) was from the generation of the Tabi’in as he was alive during the era of the Sahabah and he saw Anas ibn Malik (d. 93 H), although it is not authentic that he narrated from him or any other Sahabi. Imam al-Suyuti mentions in Tabyid al-Sahifah (Mahmud Muhammad Mahmud Hasan Nassar ed. p. 34) that Ibn Hajar al-’Asqalani said, “Ibn Sa’d narrated with a sanad in which there is no harm that Abu Hanifah saw Anas.” Ibn Hajar goes on to mention that this distinguishes Abu Hanifah from all the other Imams of the major towns from his contemporaries like al-Awza’i, Hammad ibn Zayd, Hammad ibn Salamah, al-Thawri, Malik, Muslim ibn Khalid and al-Layth ibn Sa’d. Imam Abu Hanifah’s authority in fiqh is accepted by all from the Ahl al-Sunnah, both his supporters and his detractors. However, some still insist on casting doubt on his reliaibility in the narration of hadith. Imam Abu Hanifah did not narrate many hadiths as his preoccupation was fiqh and recording its masa’il, but his dependence on hadith and athar is apparent from his rulings and in this sense he is from the mukthirin – those who narrated large amounts of hadith (see Abu Hanifah wa Ashabuhu l-Muhaddithun, pp. 19-23). ‘Abd Allah ibn Muhammad ibn ‘Abd al-Mu’min al-Qurtubi is reliable (saduq) as mentioned in Lisan al-Mizan (4:587) which also states that “he is from the oldest of Abu ‘Umar (Ibn ‘Abd al-Barr)’s shaykhs.” Ibn Dasah (d. 346) is trustworthy (thiqah) and a narrator of the Sunan from Abu Dawud al-Sijistani (Siyar A‘lam al-Nubala). The isnad is therefore sound (hasan). “Imam” has different meanings, but when used in the context of hadith science and narrator-criticism, it is on par with “trustworthy” (thiqah) and “proof” (hujjah) and “firm” (thabt), as mentioned by al-Sakhawi in his Sharh Alfiyyat al-’Iraqi (al-Raf’ wa l-Takmil, p. 75-6). Hafiz Ibn Hajar al-’Asqalani also sufficed with “Imam” when grading Imam Abu Hanifah’s reliability in Taqrib al-Tahdhib, indicating this term is sufficient to establish trustworthiness. Abu l-Fath al-Azdi narrated it without chain but his manner of narration (using sighat al-jazm) indicates it is authentic according to him. Al-Dawraqi is trustworthy (thiqah) according to al-Daraqutni and reliable (saduq) according to Ibn Abi Hatim (Misbah al-Arib 2:133). The rest of the narrators are known as huffaz and muhaddithin but their reliability is unknown. This narration is therefore either weak (da’if) or sound (hasan), depending on the principles used. Shu’bah ibn al-Hajjaj would only narrate from trustworthy narrators, so if the above narration is sound, this would amount to Shu’bah declaring Abu Hanifah trustworthy. Abu Hanifah, there was no harm in him. Abu Hanifah was, according to us, from the people of integrity. He was not accused of lying. Ibn Hubayrah beat him for [refusing] judgeship and he refused to be judge. Ibn Muhriz’s reliability is unknown (he is majhul al-hal) but his narrations from Ibn Ma’in on the narrators of hadith have generally been accepted by the scholars of Rijal, and this transmission from him is corroborated by other narrations (mentioned below). It is well-known that Ibn Ma’in’s statement “there is no harm in him” is equivalent to his statement “trustworthy” (thiqah), as mentioned in Tadrib al-Rawi. This narration, therefore, proves Imam Abu Hanifah is trustworthy according to Ibn Ma’in. Abu Hanifah was trustworthy. He would not narrate a hadith except what he had memorised and he would not narrate what he had not memorised. Ibn Rizq is trustworthy according to al-Khatib and al-Barqani. Ahmad ibn Ali ibn ‘Umar ibn Hubaysh is trustworthy (Tarikh Baghdad 5:510). Ahmad ibn Muhammad ibn ‘Isam’s reliability is unknown. He is mentioned in Tarikh Asbahan of Abu Nu‘aym. Muhammad ibn Sa‘d al-‘Awfi is weak (layyin) according to al-Khatib but according to al-Daraqutni “there is no harm in him.” The narration is therefore weak (da’if) or sound (hasan), but more probably the latter as it is supported by similar statements from Ibn Ma’in like the two narrations mentioned above. Salih ibn Muhammad ibn ‘Amr ibn Habib al-Asadi (d. 293) is trustworthy as mentioned by al-Daraqutni, al-Khatib and others (Misbah al-Arib, 2:93). Hence, this narration is authentic according to al-Mizzi. There were other narrations from Ibn Ma’in declaring Abu Hanifah trustworthy as mentioned in Tarikh Baghdad but they have weaknesses in them. Based on these aforementioned four narrations (from al-Dawraqi, Ibn Muhriz, Salih ibn Muhammad al-Asadi and al-’Awfi), the later scholars have agreed the preserved (mahfuz) opinion of Yahya ibn Ma’in is Abu Hanifah is trustworthy. This is clear from al-Mizzi’s relation of only the three above-mentioned narrations in his Tahdhib al-Kamal, followed by al-Dhahabi in his Siyar and al-’Asqalani in Tahdhib al-Tahdhib. Dr. Bashshar Awwad also mentions in his footnotes to Tarikh Baghdad the preserved (mahfuz) opinion of Yahya ibn Ma’in is that Abu Hanifah is trustworthy. None of the later scholars like Mizzi, Dhahabi and ‘Asqalani mentioned any criticism from Ibn Ma’in of Abu Hanifah, indicating they believed the criticism narrated from him is inauthentic or unreliable. There is however a narration with an authentic chain to Ibn Ma‘in, as narrated by Ibn ‘Adi in his al-Kamil fi Du’afa al-Rijal from ‘Ali ibn Ahmad ibn Sulayman (227 – 317) who is thiqah according to Ibn Yunus (Siyar A‘lam al-Nubala) from Ahmad ibn Sa‘d ibn Abi Maryam (d. 253) who is saduq according to Ibn Hajar in al-Taqrib: “I asked Yahya ibn Ma‘in about Abu Hanifah and he said: “His hadiths are not written.”” This narration is also found in Tarikh Baghdad. Criticising this narration because of Ahmad ibn Sa’d ibn Abi Maryam as was done by Imam al-Kawthari in his Ta’nib al-Khatib is incorrect, as is clear from the biographical notices on Ahmad ibn Sa’d ibn Abi Maryam. While the phrase “his hadiths are not written” does not necessarily indicate weakness in Ibn Ma‘in’s usage, if it is accepted as a weakening (tad’if), it would contradict the above-mentioned more reliable and more numerous narrations, and would thus be shadhdh (an anomaly) and thus rejected when compared to the mahfuz narrations from Ibn Ma’in. There is another narration narrated in Tarikh Baghdad (15:581) from Ibn Ma’in saying Abu Hanifah “was weakened” but this is undoubtedly fabricated due to a particular narrator (Uthman ibn Muhammad ibn Abi Shaybah) in the chain. Abu ‘Abd Allah al-Hakim al-Naysaburi (321 – 405 H) , one of the first to write on the subject of ‘Ulum al-Hadith, wrote in his seminal work Ma’rifatu ‘Ulum al-Hadith in “Type 49 of the sciences of Hadith” (p. 642) that, “This type of science is knowledge of the well-known trustworthy imams (al-a’immat al-thiqat al-mashhurin) from the Tabi’in and their successors [i.e. the second and third generations] of those whose hadiths are gathered for memorisation, revision and seeking blessing through them. We will list them, from the east to the west.” (p. 642) While listing the “famous trustworthy imams” from Kufa, he mentions “Abu Hanifah al-Nu’man ibn Thabit al-Taymi” (p. 649). In brief, therefore, it is established from Yahya ibn Ma’in, Abu Dawud al-Sijistani and al-Hakim that they believed Abu Hanifah was trustworthy and reliable in narrating hadith. The narration from Shu’bah is not as strongly established, while the narration from Ibn al-Madini is sound according to Abu l-Fath al-Azdi. Once it is established from the reliable scholars of al-Jarh wa l-Ta’dil that a narrator is trustworthy (thiqah) as is the case here, any unexplained criticism (jarh mubham) will not be accepted, based on the accepted principles of this science. Hence, al-Bukhari’s statement “they abandoned him” (“sakatu ‘anhu” which for al-Bukhari is equivalent to “tarakuhu“), al-Nasa’i’s “he is not strong” (laysa bi l-qawi), Muslim’s assessment in his al-Kuna wa l-Asma (no. 963 ed. ‘Abd al-Rahim Muhammad Ahmad al-Qashqari) that he is “confused in hadith” (mudtarib al-hadith) and al-Daraqutni’s “da’if” will not be accepted as they are unexplained. The explained criticism mentioned in the printed version of Mizan al-I’tidal by al-Dhahabi in which it mentions “al-Nasa’i and others weakened him due to his memory,” this is an insertion by a later scribe as is established by internal evidence (al-Dhahabi said he would not mention the biographies of the four imams of fiqh) and external evidence (al-’Asqalani did not mention it in Lisan al-Mizan which is an expansion of al-Dhahabi’s work; and the earliest manuscripts of Mizan al-I’tidal do not contain a biography of Abu Hanifah). This was detailed by Abu Ghuddah in his footnotes to al-Raf’ wa l-Takmil. Explained criticism (jarh mufassar), however, has precedence over accreditation (ta’dil). Some scholars of al-Jarh wa l-Ta’dil did explain their criticism of Abu Hanifah. Ibn Abi Dawud (230 – 316) said as narrated by al-Khatib (Tarikh Baghdad 15:576) that Abu Hanifah narrated 150 hadiths and erred in half of them. However, it is known that there were individuals who fabricated narrations with chains through Abu Hanifah, and it was probably these narrations that these scholars criticised. This is known to have been the case with Ibn ‘Adi who narrated narrations from Abu Hanifah through Abba ibn Ja‘far al-Najirami who was active in the third century Hijri and would narrate fabricated hadiths through Abu Hanifah (Lisan al-Mizan 1:231). Many of his false hadiths are included in Musnad Abi Hanifah by Abu Muhammad al-Harithi (257 – 340). Al-Najirami was probably the reason why Ibn Abi Dawud believed Abu Hanifah would make mistakes and confused his narrations. Furthermore, there is some question over the integrity of Ibn Abi Dawud himself as mentioned in Lisan al-Mizan. There is, however, another narration from Ibn al-Madini as narrated by al-Khatib in Tarikh Baghdad (15:581): ‘Ali ibn Muhammad (ibn al-Hasan) al-Maliki informed me: ‘Abd Allah ibn ‘Uthman al-Saffar reported to us: Muhammad ibn ‘Imran al-Sayrafi reported to us: ‘Abd Allah ibn ‘Ali ibn ‘Abd Allah al-Madini narrated to us: “I asked my father about Abu Hanifah, the champion of opinion, and he weakened him severely and said: “Were he in front of me, I would not ask him about anything. He narrated fifty hadiths in which he erred.”” This is an explained criticism as it states the weakening is due to the errors found in his narrations. All the narrators are trustworthy, besides al-Khatib’sshaykh, Ali ibn Muhammad ibn al-Hasan al-Maliki (350 – 437 H) who is reliable (saduq) as mentioned in Tarikh Baghdad (13:584), and besides the son of Ibn al-Madini whose reliability is unknown. The narration therefore has a questionable chain. Moreover, it is contradicted by the narration mentioned above from Ibn al-Madini that Abu Hanifah is trustworthy in hadith. It is also contradicted by the narration from Yahya ibn Ma’in mentioned above in which he said “I have not heard anyone weakening him,” as Ibn al-Madini was a contemporary. 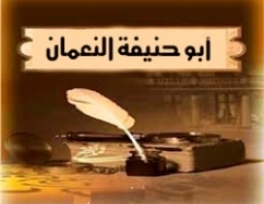 This narration from Ibn al-Madini is therefore objectionable (munkar) with respect to its matn (text), particularly since the later specialists in the field of narrator-criticism who had full knowledge of Abu Hanifah’s available hadith narrations in the Masanid, Kitab al-Athar and other works, like Imams al-Mizzi, al-Dhahabi, Ibn Kathir and Ibn Hajar al-’Asqalani, had only praise of him and assessed him to be strong in hadith; and if they found a large number of errors in his hadiths when compared to the hadiths of other narrators, they would not have made such an assessment. The above is a detailed analysis of the bulk of the authentic information from the early scholars explicitly relating to Abu Hanifah’s reliability in narrating hadith. There are of course many other narrations relating to Imam Abu Hanifah’s piety and knowledge, and others criticising him in relation to fiqh and religion, but these have little relevance when it comes to his reliability in hadith. However, many evidences with respect to Abu Hanifah’s knowledge, honesty and memory support the conclusion that he was trustworthy in hadith. In sum, it is established Abu Hanifah is trustworthy according to Yahya ibn Ma’in, Abu Dawud and al-Hakim, and probably Shu’bah ibn al-Hajjaj and Ibn al-Madini, so the ambiguous criticism of some muhaddithun will not be accepted based on the principle that an unexplained criticism is rejected in light of accreditation, while the authentic statements of Ibn Abi Dawud and Ibn ‘Adi explaining the criticism of Abu Hanifah that he erred when narrating hadiths can be explained by the deliberate fabrications made against Abu Hanifah circulating at that time. There is no doubt that the later pre-modern great scholars who had full access to all the primary sources and used them in their works, like al-Mizzi (in Tahdhib al-Kamal), al-Dhahabi (in Siyar A’lam al-Nubala and Tadhkirat al-Huffaz) and al-’Asqalani (in Tahdhib al-Tahdhib), all believed Abu Hanifah was trustworthy in hadith, based on a complete analysis of the evidence. It should therefore be accepted that Abu Hanifah was trustworthy in narrating hadith. Modern detractors of Abu Hanifah like al-Albani dug up statements criticising Abu Hanifah after the ummah agreed to reject them and with no apparent knowledge of the principles of al-Jarh wa l-Ta’dil, they present them as conclusive evidence of Abu Hanifah being weak in narrating hadith. Fair analyses, taking into account all the evidence and the principles outlined by the scholars of al-Jarh wa l-Ta’dil, and devoid of bias in favour of Abu Hanifah or against him, clearly show he was a reliable transmitter of hadith. Imam al-Tahawi transmits this hadith from Abu Hanifah through two routes, both containing two narrators between him and Abu Hanifah. After that the chain is the same, through the famous link of “Hisham from his father from ‘A’ishah.” Salih ibn ‘Abd al-Rahman, the first shaykh of al-Tahawi, was declared truthful by Ibn Abi Hatim in al-Jarh wa al-Ta’dil (ibid. 1:33). Fahd ibn Sulayman, the second shaykh, was declared “thiqah thabt” by Ibn Yunus (Misbah al-Arib, 2:491), one of the highest grades of reliability. The two narrators from Imam Abu Hanifah are eminent narrators found in all six of the famous collections of hadith (Bukhari, Muslim, Tirmidhi, Abu Dawud, Nasa’i and Ibn Majah). Abu ‘Abd al-Rahman ‘Abd Allah ibn Yazid al-Muqri’ (120 – 213) was a famous scholar of hadith and readings of the Qur’an (qira’at). Abu Nu’aym al-Fadl ibn Dukayn (130 – 219) was a direct teacher of Imam al-Bukhari, and he narrates many of his hadiths in the Sahih. The teacher of Abu Hanifah, Hisham ibn ‘Urwah (61 – 146), was a major narrator from the generation of the Tabi’in who heard and narrated from the Sahabah. His narrations, particularly through the route of his father from ‘A’ishah which is found here, are common in the six books of hadith. This is one amongst many examples which illustrate the eminence of both those who took from Imam Abu Hanifah and those he took from, and puts to rest the claim that hadiths were alien to Abu Hanifah and his fiqh. Imam Abu Ja’far al-Tahawi (239 – 321) narrated several hadiths in his masterpiece work, Sharh Mushkil al-Athar, containing Imam Abu Hanifah in its chain. One of them is referenced above. I will quote another five below, and another in a later post inshaAllah when discussing Imam al-Nasa’i’s narration from Abu Hanifah. All references are based on Shu’ayb al-Arna’ut’s excellent edition of the work available for download here. The second and fourth narrations in this list are examples of Imam Abu Hanifah’s thuna’iyyat (two-narrator chains). The shaykh of Imam al-Tahawi, Ibrahim ibn Abi Dawud, is Ibrahim ibn Sulayman ibn Dawud al-Barallusi al-Suri (d. 270). Al-Tahawi narrated many hadiths from him. Al-Dhahabi described him as a “proficient master” (al-hafiz al-mutqin) and Abu Sa‘id ‘Abd al-Rahman ibn Ahmad ibn Yunus (d. 347), the biographer of Egyptian narrators and a student of Imam al-Tahawi, said: “He was one of the memorisers, proficient Qur’an-reciters, trustworthy and firm narrators.” (Siyar A‘lam al-Nubala, al-Arna’ut ed. 12:612-3) The rest of the narrators in the chain are trustworthy hadith transmitters found in all six of the famous collections of hadith. The narrator from Abu Hanifah, Ishaq ibn Yusuf (117 – 195 H), better known as al-Azraq, was declared thiqah by Ahmad ibn Hanbal, Ibn Ma‘in, al-‘Ijli, Ibn Sa‘d, al-Bazzar and al-Khatib al-Baghdadi (Tahdhib al-Tahdhib 1:257-8). The shaykh of Abu Hanifah in this chain is ‘Alqamah ibn Marthad al-Hadrami (d. 126), a Kufan narrator of hadith. Al-Mizzi lists Abu Hanifah amongst those who narrated from him (Tahdhib al-Kamal 20:310). This hadith was narrated through the same chain by Imam Ahmad ibn Hanbal (d. 241) in his Musnad (no. 23027, vol. 38:132, Shu’ayb al-Arna’ut ed.) from al-Azraq who narrated from Abu Hanifah from ‘Alqamah. Al-Tahawi’s shaykh, Rawh ibn al-Faraj Abu al-Zinba’ (d. 282), was a Maliki jurist and also the one who taught Imam al-Tahawi the science of qira’ah according to his transmission from the founder of one of the seven readings, ‘Asim ibn Bahdalah. He was thiqah as mentioned by al-’Asqalani inTaqrib al-Tahdhib. Yusuf ibn ‘Adi ibn Zurayq (d. 232) is a narrator found in the collections of al-Bukhari and al-Nasa’i, and he was thiqah (Tahrir al-Taqrib no. 7872). The narrator from Abu Hanifah, ‘Abd al-Rahim ibn Sulayman al-Kinani (d. 187), is a narrator found in all six collections of hadith, and was declared thiqah by a number of authorities. Hammad ibn Abi Sulayman (d. 120) was the primary teacher of Abu Hanifah in fiqh, and he was a mujtahid Imam, the greatest of the students of Ibrahim al-Nakha’i as he himself expressed. Hammad’s narrations are found in all six collections of hadith, although in Sahih al-Bukhari there is only one narration narrated as mu’allaq(i.e. where Imam al-Bukhari does not cite his chain to Hammad). For the scholars’ praise of his knowledge and reliability, see Tahdhib al-Kamal (7:269-79). The shaykh of al-Tahawi, Yazid ibn Sinan ibn Yazid al-Qazzaz (178 – 264), is also one of theshaykhs of al-Nasa’i in his Sunan. (Imam al-Tahawi in fact shares some shuyukh with all the collectors of the six books of hadith besides al-Bukhari.) He was declared thiqah by al-Nasa’i, Ibn Yunus and Ibn Abi Hatim (Tahdhib al-Kamal 32:152-5). The narrator from Imam Abu Hanifah Abu Qatan ‘Amr ibn al-Haytham (121 – 198) is a narrator found in all six of the famous collections of hadith besides Sahih al-Bukhari, and was declared thiqah by al-Shafi’i, Yahya ibn Ma’in, ‘Ali ibn al-Madini (Tahdhib al-Kamal 22:280-5). The shaykh of Imam Abu Hanifah is ‘Atiyyah ibn Sa’id ibn Junadah al-’Awfi (d. 111), a narrator found in the collections of Abu Dawud, al-Tirmidhi and Ibn Majah, and also in al-Bukhari’s al-Adab al-Mufrad. It was reported from Yahya ibn Ma’in that he said he is “acceptable” (salih) and “there is no harm in him,” and Ibn Sa’d said “he is thiqah if Allah wills,” although it is also reported from Ibn Ma’in that he considered him weak and this was reported from a number of other authorities also (Tahdhib al-Kamal 20:145-9). The text of the hadith itself, however, is of unquestionable authority, and is probably the most authentic hadith in existence. The chain is the same as the second narration mentioned above, except for the narrator from Abu Hanifah, Abu Mu’awiyah Muhammad ibn Khazim (113 – 195), whose narrations are found in all six collections of hadith, and he was declared thiqah by the major authorities of narrator-criticism. This hadith is well-known and is found with different chains of transmission in many books of hadith. Abu Bakr ibn Abi Shaybah (159-235 H), the name with which he is better known, is ‘Abd Allah ibn Muhammad ibn Ibrahim. He was a contemporary of Imams Ahmad ibn Hanbal, Yahya ibn Ma‘in, Ishaq ibn Rahwayh and ‘Ali ibn al-Madini. His narrations are found in all six of the famous collections of hadith besides the collection of Imam al-Tirmidhi. Abu Hatim, Ibn Khirash and al-‘Ijli said: “[He was] trustworthy,” and al-‘Ijli added: “He was hafiz of hadith.” ‘Amr ibn ‘Ali said: “I have not seen [anyone who] had memorised more than Ibn Abi Shaybah.” Abu ‘Ubayd al-Qasim ibn Sallam said: “[Knowledge of] hadith culminates at four: Abu Bakr ibn Abi Shaybah, Ahmad ibn Hanbal, Yahya ibn Ma‘in and ‘Ali ibn al-Madini. Abu Bakr was the most retentive of them, Ahmad the most understanding of them, Yahya the most prolific of them and ‘Ali the most learned of them.” Ibn Hibban said: “He was a proficient and trustworthy master [of hadith], of those who wrote and collected and compiled, and he was the most retentive from the people of his time.” (Tahdhib al-Kamal, Bashshar ‘Awwad ed. 16:34-42) His work al-Musannaf is one of the largest collection of narrations including marfu‘, mawquf and maqtu‘ reports. He said: “I comprehended the people and I have not seen anyone more intelligent, nor more virtuous, nor more scrupulous than Abu Hanifah!” (Tarikh Baghdad 15:498) Dr. Bashshar ‘Awwad Ma‘ruf comments, “Its isnad is sahih.” Al-Hasan ibn ‘Ali reported: I heard Yazid ibn Harun when a man asked him, “O Abu Khalid! Who is the best in fiqh from those you have seen?” say, “Abu Hanifah.” (Tarikh Baghdad 15:468) Dr. Bashshar ‘Awwad Ma‘ruf comments, “Its isnad is hasan.” The weight of such praise from Yazid ibn Harun of Imam Abu Hanifah can be gauged from this brief account of his qualities. As shown in here, Waki‘ would issue fatwa according to the opinions of Imam Abu Hanifah. Al-Mizzi also quotes this from Yahya ibn Ma‘in in Tahdhib al-Kamal (30:474-5). Some of the fatwas Waki‘ reported from Abu Hanifah are recorded in the Musannaf; see numbers 10713 and 32152. The hadith narrations of Waki‘ in the Musannaf include a number of reports reaching the Sahabah. Number 29099 is a narration from Imam Abu Hanifah that reaches ‘Umar ibn al-Khattab. Waki‘ ibn al-Jarrah listed Hafs amongst the companions of Imam Abu Hanifah as mentioned here. This is also recognised in the books of later non-Hanafi authorities, as for example, Imam al-Nawawi refers to him as “Hafs ibn Ghiyath al-Hanafi” in his work on Usul al-Hadith called al-Taqribof which al-Suyuti’s Tadrib al-Rawi is a commentary (Tadrib al-Rawi, Muhammad Ayman al-Shabrawi ed., p. 374). The narrations recorded in the Musannaf are all Hafs’s narrations from Abu Hanifah from Hammad ibn Abi Sulayman, either from Hammad’s own opinion or narrating from Ibrahim al-Nakha‘i or Sa‘id ibn Jubayr. ‘Abd Allah ibn Numayr al-Hamdani al-Kufi (115 – 199) is also a narrator found in all six collections of hadith. He was declared thiqah by Yahya ibn Ma‘in, Ibn Sa‘d, al-Daraqutni and others. Al-‘Ijli said: “Trustworthy, sound in hadith, a champion of the Sunnah.” (Tahdhib al-Kamal 16:225-9). It has been mentioned in other articles that it was transmitted with authentic chains from ‘Abd Allah ibn al-Mubarak that he said: “When the opinion of Abu Hanifah and Sufyan concur on something, that is strong,” (Tarikh Baghdad 15:471) “the greatest faqih of people, is Abu Hanifah,” “I have not seen the like of him in fiqh,” (Tarikh Baghdad 15:469) “If anyone has the right to issue [a legal verdict] using his opinion, Abu Hanifah has the right to issue [a legal verdict] using his opinion.” (Tarikh Baghdad 15:471) According to another report with a good (hasan) chain, ‘Abd Allah ibn al-Mubarak said Abu Hanifah was a “sign” (ayah) in “virtue” (khayr) (Tarikh Baghdad 15:461). Hammad ibn Usamah ibn Zayd (120 – 201) is also a narrator found in all six collections. Ahmad ibn Hanbal said he is thiqah and “the most learned of people about the conditions of people.” He also said: “How strong he was! He almost never erred.” Yahya ibn Ma‘in, Ibn Sa‘d, al-‘Ijli and al-Daraqutni said he is thiqah. It was reported from Abu Usamah that he said: “I wrote with these two fingers of mine 100,000 hadiths.” He was known to be from the constant worshippers (nussak) and and to have been extremely intelligent (Tahdhib al-Kamal 7:217-24). The two reports of Abu Hanifah reporting from him in the Musannaf are in the form of fatwas which he took from him. In the first, Abu Hanifah asked ‘Ata’ about an illegitimately born man leading the people in prayer, and he replied: “There is no harm in it – is there not from amongst them those who pray and fast more than us?” This indicates that Imam Abu Hanifah took both fiqh and hadith (an example was given in the previous post) from ‘Ata’ ibn Abi Rabah. The first to sit me down to narrate hadith in Kufa was Abu Hanifah. He sat me down in the mosque and said: ‘This is the strongest of people regarding the hadith of ‘Amr ibn Dinar,’ then I narrated to them. Ibn al-Dakhil (d. 388) is described as the “muhaddith of Makkah” by al-Dhahabi in Siyar A‘lam al-Nubala, but besides this there is no other criticism or praise of him, although his biography is known. Abu al-‘Abbas Muhammad ibn al-Husayn al-Farid, his reliability is unknown. Muhammad ibn Isma‘il al-Sa’igh (d. 276) is thiqah according to Abu Dawud and al-Dhahabi. Hence, although the chain is weak because of the unknown narrator in the chain, it is not “very weak” (da‘if jiddan) that it cannot be used as a supporting narration. This narration therefore strengthens the previous one. The narration also corresponds with the information known about Sufyan ibn ‘Uyaynah (107 – 198) from the books of Rijal. As mentioned in Taqrib, he “was the strongest narrator from ‘Amr ibn Dinar (45 – 126).” Ibn ‘Uyaynah himself referred to ‘Amr ibn Dinar as “thiqah thiqah thiqah” – the repetition is for emphasis. And it is known some major Kufan narrators like Waki‘ ibn al-Jarrah and Yahya ibn Zakariyyah ibn Abi Za’idah narrated from him as mentioned in Tahdhib al-Tahdhib (4:118). Waki‘, as mentioned in an earlier post, would issue fatwas according to the opinions of Abu Hanifah, and Yahya ibn Zakariyya ibn Abi Za’idah, who was the strongest and greatest narrator in Kufa after Sufyan al-Thawri, is known to have been a “student of Abu Hanifah” as mentioned in al-Dhahabi’sTadhkirat al-Huffaz. Sufyan ibn ‘Uyaynah is one of the outstanding imams, chief of the muhaddithin and shaykh of Islam, yet he says: ‘The first to sit me down to narrate hadith was Abu Hanifah.’ In this is a great proof of the greatness of Abu Hanifah in the science of hadith, and people’s reliance on his opinion with respect to the reliability of narrators. Thus, he (Allah be pleased with him) was not only amuhaddith, but he was from those who made men muhaddithin! This narration has also been quoted in the books of Rijal under the biographies of Jabir al-Ju’fi and ‘Ata’ ibn Abi Rabah (e.g. Tahdhib al-Tahdhib 2:48), illustrating the acceptance of Imam Abu Hanifah’s view amongst the later experts of this science. For more examples of the recorded statements of Imam Abu Hanifah on al-Jarh wa al-Ta‘dil from Tahdhib al-Tahdhib, see Abu Hanifah wa Ashabuhu al-Muhaddithun, pp. 45-7. VERY good information Alhamdulillah!! Jazakallahu khyran, reg Muqatil ibn sulayman he is the first to introduce anthropomorphism taking the literal meaning isnt it? hes the one whom the today pseudo-salafis follow! Imam dhahabi rh also mentioned about Muqatil in his Siyar ‘alam nubula.. If dhahabi also rejected him and called him an anthropomorphist which is a refutation from dhahabi to there sect! And they still try to pull him to there side shows they have no chain of scholars back to the salaf. Honestly where is the sincerety, don’t they fear Allah, the haqq is haqq, they cover the haqq with a cloth of falsehood.. Sincere Muslims who may be reading this.. take heed please research properly beware of this salafiyyah sect.. They are not the salaf and evidences are against them not for them.. I have noticed they use the word ‘Mistake’ that ibn hajar nawawi ibn kathir rh etc were mistaken.. Thats another word that doesn’t apply to these scholars.. Because a mistake is when they wrote something they didn’t intend or believed in and made it clear.. And nowhere did they believe in the wahabiyyah mujassima of todays viewpoint.. They BELIEVED upon it and DIED upon it what they wrote the evidences are clear!! So this so called ‘mistake’ is just another ignorant qoute! so they can follow Muqatil! instead of the salafusaliheen. My dearest brothers on this website may Allah bless you!! Just to be certain he Muqatil ibn sulayman was the first to introduce this bid’ah of literalism and likening Allah to creation correct? Or there was one before him? Assalamu alykum, VERY good information Alhamdulillah!! Jazakallahu khyran, reg Muqatil ibn sulayman he is the first to introduce anthropomorphism taking the literal meaning isnt it? hes the one whom the today pseudo-salafis follow! Imam dhahabi rh also mentioned about Muqatil in his Siyar 'alam nubula.. If dhahabi also rejected him and called him an anthropomorphist which is a refutation from dhahabi to there sect! And they still try to pull him to there side shows they have no chain of scholars back to the salaf. Honestly where is the sincerety, don't they fear Allah, the haqq is haqq, they cover the haqq with a cloth of falsehood.. Sincere Muslims who may be reading this.. take heed please research properly beware of this salafiyyah sect.. They are not the salaf and evidences are against them not for them.. I have noticed they use the word 'Mistake' that ibn hajar nawawi ibn kathir rh etc were mistaken.. Thats another word that doesn't apply to these scholars.. Because a mistake is when they wrote something they didn't intend or believed in and made it clear.. And nowhere did they believe in the wahabiyyah mujassima of todays viewpoint.. They BELIEVED upon it and DIED upon it what they wrote the evidences are clear!! So this so called 'mistake' is just another ignorant qoute! so they can follow Muqatil! instead of the salafusaliheen. My dearest brothers on this website may Allah bless you!! Just to be certain he Muqatil ibn sulayman was the first to introduce this bid'ah of literalism and likening Allah to creation correct? Or there was one before him?